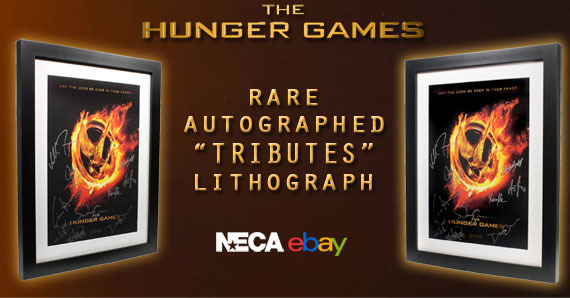 Good news for fans of The Hunger Games: a very small quantity of framed lithographs signed by ten actors who played Tributes have surfaced for sale. Only 27 are left from the original 100 that were signed, so they’re sure to go fast. You can pick one up in NECA’s ebay store, with some Christmas delivery dates still available. Each signed lithograph is matted, framed and ready to hang. It measures 26.5×20″ and comes with a hand-numbered Certificate of Authenticity. 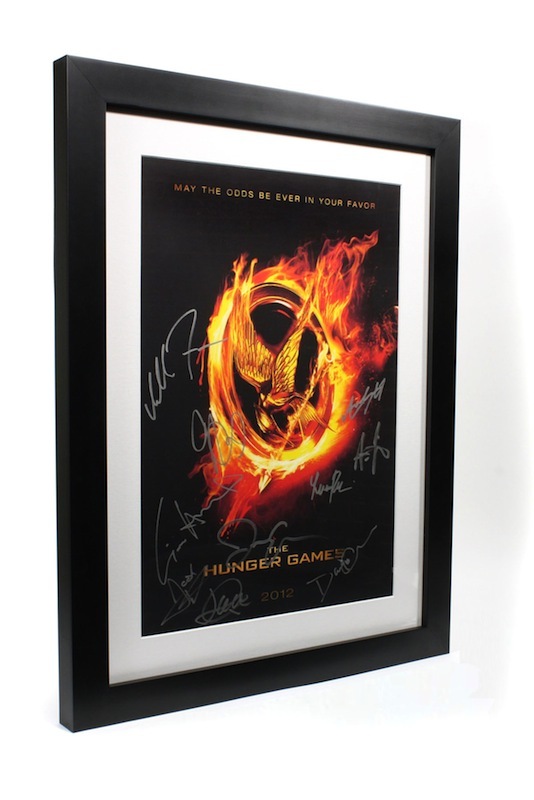 This entry was posted in Hunger Games, The HV Blog and tagged Jennifer Lawrence, the hunger games, the hunger games signed lithograph by summerm. Bookmark the permalink.